Stop The Clock With These White Hair Treatments To Stop Premature Greying! White hair is a common problem that we all face at a certain phase, irrespective of our gender. It has got nothing to do with just ageing anymore—considering our current lifestyle, the greying starts at a very young age. In this article, we will be telling you some amazing white hair treatment and will explain certain factors which cause white hair. Here are a few common factors that you should know about. Tired of getting premature white hair? Wanna know these white hair causes that may help you to take good care of your hair. Here we have mentioned the cause that can be the reason of premature white hair. Have a look! Stress affects your body a lot, and in more ways than you can imagine. Our current lifestyle and work is something that leads to a lot of stress and sleepless nights. So if you are getting a lot of white hair suddenly, stress and high blood pressure could be one of the major causes for it. Another main cause for white hair could be your genes and that's absolutely normal. If your parents or grandparents had this issue of greying hair at an early age, you are likely to have it too. It can even start at an age as early as 18. According to the Italian Dermatology Online Journal, smokers are 2.5 times more likely to start greying in their 20s as compared to non-smokers. 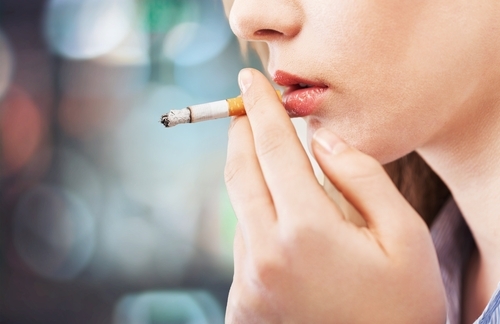 So if you have been thinking that smoking only affects your heart and lungs, think again! It has a major effect on your hair as well. It constricts blood vessels, which further reduces blood flow to the hair follicles, which causes the hair loss. Did you know that the condition of your thyroid can also affect your hair colour? According to research, an overactive or underactive thyroid produces less melanin in your body, which further affects the colour of your hair. Hence, the hormonal changes caused by a thyroid problem like hyperthyroidism or hypothyroidism is majorly responsible for premature greying. Believe it or not, but there are certain autoimmune diseases in your body which also cause premature white hair. An autoimmune disease is one where the body's immune system attacks its own cells, which also includes hair cells. If you are suffering from alopecia and vitiligo, your body immune system will affect your hair follicles and also cause loss of pigment. How To Delay Premature Greying? Prevention is always better than cure, but somehow it doesn't really help in the case of white hair much. It all depends on the cause of the colour change. If it's due to genetic issues or some serious health problem, no amount of home remedies or prevention can actually be of any help. However, it's said that thyroid related issues can still be cured by taking vitamin B12 shots or pills to strengthen hair follicles and restore hair pigmentation. If it's due to autoimmune diseases in your body, you need to consult a doctor first and get proper medication. As per reports, it's pretty difficult to get back to the natural colour of your hair though. Well, if you are cautious enough, then a few home remedies can help you prevent this loss of pigment and prolong your healthy natural state of your black hair. One of the major reasons for weak hair follicles resulting in thin hair, white hair and dull hair at a very young age is because you don't oil your hair properly and on a regular basis. This is one thing you just cannot miss out on. To counter the amount of dirt and pollution your hair faces on an everyday basis, oiling your hair at least twice a week is very important. Almond, coconut and olive oil are considered to be the best hair oils for nourishing your scalp and roots. It also helps repair hair damage and is also one of the most effective ways to prevent white hair. Not many know about this, but henna is not only used to hide your white hair but also prevent it from the origin. Henna is a natural dye which doesn't have any hair damaging chemicals and acts as a natural healing herb which protects your hair from discolouration. So you can rely on applying henna and see if it works for you. 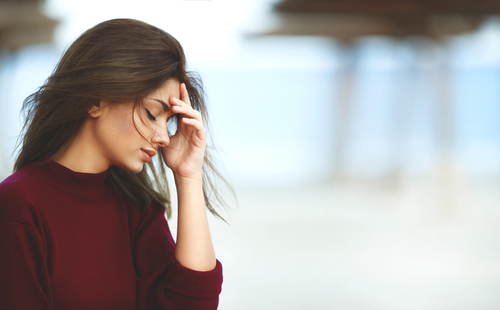 We all know the most common and the root cause of white hair—stress. And the more you are stressed, the more you end up greying early. Stress not only gives you dark circles under your eyes, but also affects your hair in ways more than you can imagine. If you’re going through a hard time professionally or personally which is leading to sleepless nights and loss of hair pigment, calm down a little and meditate.With a regular routine of de-stress exercises and meditation, you can fight white hair. Meditation helps in restoring the chemical balance in our brain and helps the body to relax. As a result, it prevents and repairs white hair. Trust us, this is the most natural and the best way to get rid of white hair without damaging your hair and scalp. Try it and see the difference in just a few months! Why go for the chemical-loaded conditioners when you can make one for yourself right at home? All you need is some gooseberries, black walnuts and a natural oil (like coconut oil). Mix it well and make a paste of all these three ingredients and use it as a hair mask thrice a week at least. This hair mask works to improve your hair texture, and strengthens and thickens them. Not just that, it also helps in treating dandruff, which further prevents your scalp from damage. We all love our hair to be prim and proper before stepping out for an occasion or a party. For that, we end up using certain hair styling appliances which put a lot of direct heat on your hair, thus damaging your hair to the core. 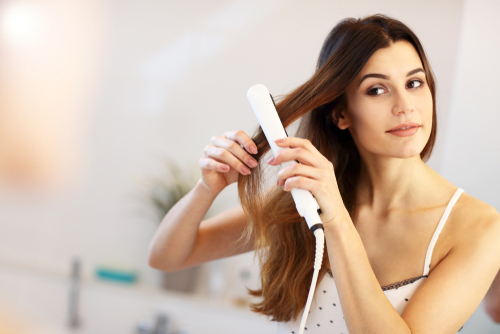 Hair straighteners and hair dryers tend to absorb all the moisture from your hair, making it fully dry in order to style it as desired. Whether you want it straight or curly, these hair appliances should not be used on a regular basis. In the process of doing that, you don't realise that it affects your hair texture, makes your hair follicles weak and that's when it starts ageing. As a result, it causes white hair. In fact, you should even avoid a hot water bath. For those who have already damaged their long beautiful tresses due to excessive exposure to heat, we suggest you go for a nice hair spa twice a month. It prevents greying and promotes hair regrowth. Are you deficient in vitamin B12? If yes, then a major cause of your greys and whites could be the lack of proper vitamin B12 in your body. This has all the essential elements that your hair needs for proper nourishment and maintenance. It helps in getting rid of your white hair by nourishing your scalp and maintaining a balance, which further prevents the discolouration of your hair. For that, you need to maintain a healthy diet with fresh fruits and vegetables rich in vitamin B12, such as yeast, cheese, avocados, oranges, plums, and cranberries. Now, this gets a little biological. For those who don't know what biotin is, it's a natural ingredient that maintains the black colour of your hair. To make it simple, always make sure you check the ingredients column when you buy any hair product. Remember, biotin rich hair products are of great help and help you get rid of white hair easily without any side effects. If you aren’t in favour of using hair products and wish to go the natural way to heal your white hair woes, start eating a lot of biotin-rich products like avocados, egg yolks, fish, sweet potato, oats, and almonds. It helps in restoring the natural black colour of your hair and thus prevents hair whitening. Natural products are way better than chemical-loaded shampoos, hair dyes, and hair masks which often tend to damage your hair. Well, a few exceptions are there and some products are good, but it depends on what suits your hair and its texture. 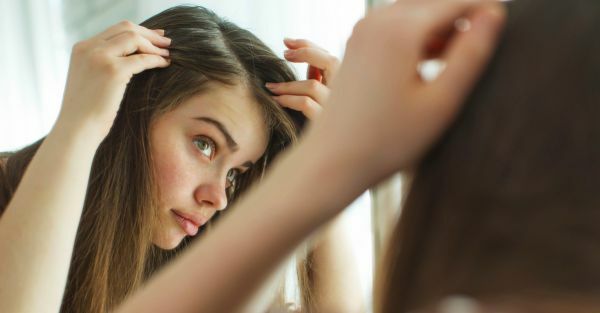 Natural products will never harm your hair; they may or may not work at times, depending on the intensity of your hair pigment loss, but they will never have any side effects. We all are lazy and always opt for a quick and fuss-free ready-made remedy to fix our hair and skin related problems. Take some time out and spend a few extra hours out of your busy schedule to pamper your hair and get rid of white hair problems. Here are a few home remedies for white hair that includes natural ingredients which might be of great help if taken properly and regularly as suggested. It's a desi nuskha which has been around for ages and it actually works wonders for those struggling with white hair problems. Our grandmothers swore by it, so did our mothers, and for a reason. All you need to do is just crush 5-6 amlas and extract the juice out of it. Now apply the juice directly on your scalp and leave it on for 15-20 minutes. Rinse it off using cold water. Repeat this at least thrice a week and you will see the results yourself. You can also store the juice in your refrigerator. 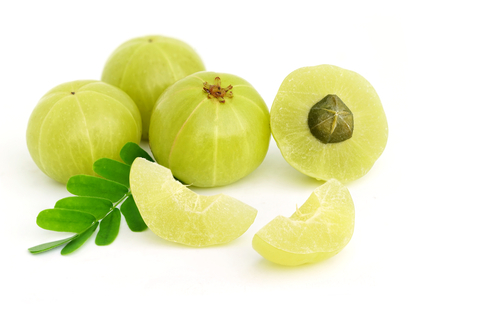 Amla is even more effective when mixed with lime juice and almond oil. Mix 1 tablespoon of amla juice and 1 tablespoon of lime juice with 4 tablespoons of almond oil and apply it on your scalp. Massage well and leave it on for 45 minutes. Rinse off with cold water. This home remedy has actually shown some tremendous results and can work in your favour too. Try it! To your surprise, sesame seeds are quite helpful in getting rid of white hair. Mix 1 tablespoon of sesame seeds with 4 tablespoons of almond oil, apply this on your scalp and massage for 20 minutes. And then leave it for half an hour, letting the mixture work on your scalp. Rinse with lukewarm water and a good herbal ayurvedic shampoo. 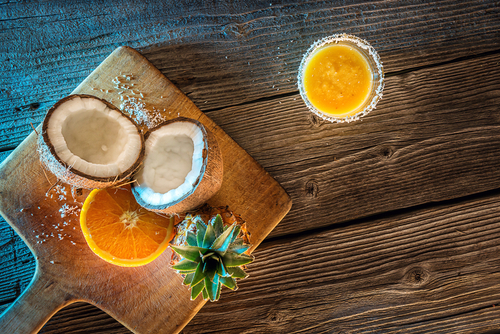 We all know how good and beneficial coconut oil is for our hair and its nourishment. While a lot of you might be oiling your hair regularly with coconut oil, you may not get the desired results as far as your white hair problems are concerned. For that, add some lime to it. Lemon juice is really helpful white hair remedy. Massage your hair with a mix of coconut oil and lemon juice regularly and you will notice the difference soon. It withers away white hair, thereby helping regrowth of natural black hair. If you like butter, then you won't mind massaging some on your scalp too. Did you know the benefits of the cow milk butter for your white hair treatment? Apparently, it helps in curing your greying hair by strengthening your hair follicles and restoring the lost pigment of your hair. You can try it out. Even if it fails to work in your favour, at least it won't have side effects for sure. Fenugreek seed powder has a lot to offer when it comes to your hair problems. It has protein and nicotinic acid which helps in strengthening hair follicles from the roots. It treats dandruff, hairfall and pigment loss related hair issues to a great extent. All you need to do is make a fine paste of henna, tulsi (or holy basil) and mint leaves. Apply the paste on your scalp and hair and leave it for a minimum of two hours. (Even better if you can leave it for an hour or two more—the more it stays the better.) Rinse it off with normal water and wash your hair with a nice herbal shampoo. The benefit of fenugreek seeds is that they restore hair pigment. 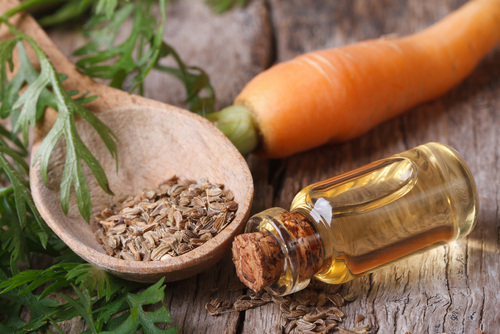 Another white hair remedy with a lot of hair care benefits is carrot seed oil. All you have to do is mix some sesame oil with carrot seed oil and massage it into your scalp and hair roots gently. Wash it off with lukewarm water and a good herbal shampoo to avoid any further damage to your hair due to unnecessary chemicals. So, these were some of the home remedies for white hair that will surely help you. Now, let us have a look at some positions of yoga for white hair. As unusual as it may sound, but there are certain yoga exercises that fight against white hair and help in natural hair growth, while preventing any kind of breakage or hair fall as well. Here is a list of five such asanas which might be of great help for those who are searching white hair treatments. Check these yoga for white hair! To start with, kneel on the ground, keeping your knees apart with a distance of 6 inches at least. Try to touch your ankles using both your hands backward and look straight up to the ceiling. Keep your thighs straight and try to push your abdomen forward. Try to hold this position for a few breaths, and then release. Repeat this at least 5-10 times. However, if you have high or low blood pressure, backache or a migraine-related problem, we strongly suggest you refrain from this particular asana. Lie flat on the ground with your belly, legs kept together with toes pointing outwards and keeping your hands on either side of your chest with palms facing the floor.Pressing on both palms, raise your forehead and look upwards. Inhale, allowing the weight to rest on your chest. Extending your arms further, straighten your elbows and lift your chest while resting on your abdomen. Maintain the pose for some more time and exhale as you release from this posture. This isn't a difficult one at all. Sit in the padmasana posture with both your legs crossed. Now exhale and inhale for about five minutes and once you are comfortable doing it, increase the time gradually. Remember, you need to exhale forcefully and not how you do normally. For this asana, you need a folded blanket. Place the blanket on the floor and stretch your legs. Now fold both your legs from your knees, keeping your feet right below the opposite knee. Don't hinge, keep your spine straight. Hold on that posture, with your eyes open, and breathe normally for 10 minutes. Probably, the easiest exercise you could do any time and at any place without any planning or maintaining a routine! You can do it at home, or even when you are at work. Fold the fingers of both your palms and rub the surface of fingernails. Do this every day, at least thrice. Did you know that this asana strengthens the nerves of your fingernails which are connected to your scalp? Rubbing your nails stimulates blood flow to prevent premature greying of the hair and also helps in natural hair growth. This isn't as complex as it sounds. To start with, sit on a yoga mat and straighten your spine. Breathe in and breathe out to relax first. Now inhale fresh air deeply and fill your lungs with sufficient air. Close your ears with both your thumbs. Now, close your eyes with your middle fingers. Next, press any one side of your forehead with your index finger and the bridge of your nose. You need to exhale through your nose and chant on in your mind. Inhale and exhale in this posture for a minimum of 11 times. Commonly known as the fish pose, Matsyasana is considered to be one of the most effective asanas to treat white hair problems. For this, you need to lie down on a mat, keeping your hands beside your thighs and your palm facing down. Now slide your hands below your hips. Next, take a deep breath with your chest and head lifted up. Gently bend your head back and try to look back straight. Remember, your hips should touch the floor. Try holding on to this position for a minimum of 30 seconds and then release. When you straighten your head, be careful. Now that we have listed all the possible natural and physical treatments for your issue of greying, it's your turn to try out these remedies. Let us know in the comments section below if they worked in your favour! Can a white hair turn black again? 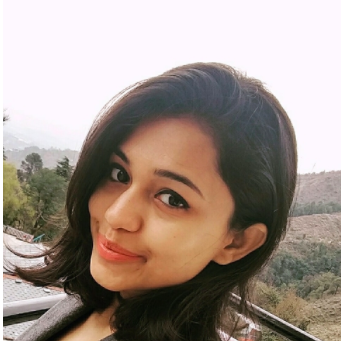 Yes, you can turn white hair to black with the right white hair treatment and diagnosis.But if you have age related problem or genetic issues then it is really difficult to turn white hair to black even with best of treatment and hair care regime. How do I have white hair at the age of 13? When a hair decreased the pigmentation amount, it starts to appear grey. Though, greying generally occurs due to ageing but it can be inherited by the kids and probably that is why you have white hair at the age of 13. Does plucking grey hair increase it? Plucking one hair does not increase grey hair growth in the same place, it is a total myth. If you will pluck one grey hair, then one new grey hair will grow in that place, not more than that.